SKU: CC522A. Category: HP Laser MFP. 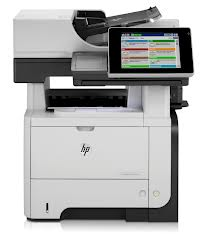 Looking for HP LaserJet Enterprise M775dn Color MFP? 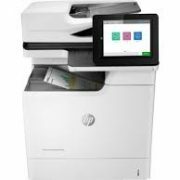 HP LaserJet Enterprise M775dn is a new generation of color MFP built for workgroups that demand for more than just a printer, copier, and a scanner. With up to 4350 input capacity by adding additional trays, and capability to accept many media sizes making M775de one of the most powerful color MFP at affordable price. Now you can print large 11″x17″ material in house for quick turn around. Both operation and management are easy for M775dn Color MFP by taking advantage of business apps and a large 8″ color touch screen to access and print from the web or scan to online storage sites. HP ePrint let you can print from virtually anywhere. At 30 pages per minute scanning speed and a large 100 sheet ADF capacity, M775dn color MFP let you scan documents directly to email, or to a network folder quickly—even scan two-sided pages quickly and easily. It is a perfect low cost solution for those with light volume of document to scan. 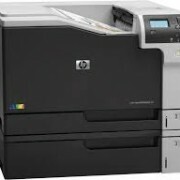 Be the first to review “HP LaserJet Enterprise M775dn Color MFP CC522A” Click here to cancel reply.